^^Co-corresponding, *co-first authorship. Selected publications underlined. DahlmanLab members bolded. Yu Q et al. In press, Circulation, 2019. Paunovska K, Da Silva Sanchez AJ, Sago CD, Gan Z, Lokugamage MP, Islam F, Kalathoor S, Krupczak BR, Dahlman JE. 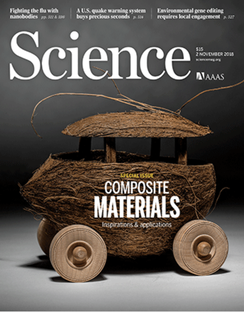 In press, Advanced Materials, 2019. Sago CD, Lokugamage MP, Islam FZ, Krupczak BR, Sato M, Dahlman JE. 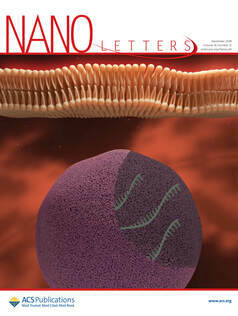 Nanoparticles that deliver RNA to bone marrow identified by in vivo directed evolution. JACS, 2018. Kofler N, Collins JP, Kuzma J, Marris E, Esvelt K, Nelson MP, Newhouse A, Rothschild LJ, Vigliotti VS, Semenov M, Jacobsen R, Dahlman JE, Prince S, Caccone A, Brown T, Schmitz OJ. Editing nature: Local roots of global governance. Science, 2018. Sago CD*, Lokugamage MP*, Lando GN, Djeddar N, Shan NN, Syed C, Bryksin AV, Dahlman JE. Modifying a commonly expressed endocytic receptor retargets nanoparticles in vivo. Nano Letters, 2018. Sago CD, Lokugamage MP, Paunovska K, Vanover DA, Monaco, CM, Shah NN, Castro MG, Anderson SE, Rudoltz TG, Lando GN, Tiwari P, Kirschman JL, Willett N, Jang Y, Santangelo PJ, Bryksin AV, Dahlman JE. A high throughput in vivo screen of functional mRNA delivery identifies nanoparticles for endothelial cell gene editing. 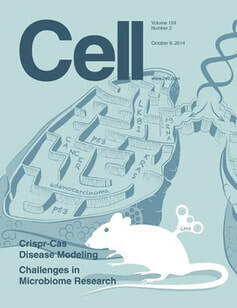 PNAS, 2018. Sago CD, Kalathoor S, Fitzgerald JP, Lando, GN, Djeddar N, Bryksin AV, Dahlman JE. Barcoding chemical modifications into nucleic acids improves drug stability in vivo. 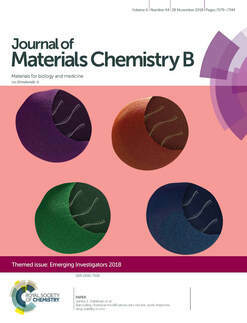 Journal of Materials Chemistry B, 2018. Lokugamage MP, Sago CD, Dahlman JE. Testing thousands of nanoparticles in vivo using DNA barcodes.Current Opinion in Biomedical Engineering, 2018. Paunovska K*, Sago CD*, Monaco CM, Hudson WH, Castro MG, Rudoltz TG, Kalathoor S, Vanover DA, Santangelo PJ, Ahmed R, Bryksin AV, Dahlman JE. A direct comparison of in vitro and in vivo nucleic acid delivery mediated by hundreds of nanoparticles reveals a weak correlation. Nano Letters, 2018. Budatha M, Zhang J, Yun S, Dahlman JE, Anderson DG, Schwartz MA. Inhibiting integrin alpha5 cytoplasmic domain signaling reduces atherosclerosis and promotes arteriogenesis. Journal of the American Heart Association, 2018. Dahlman JE^^, Kauffman KJ*, Xing Y*, Shaw TE, Mir FF, Dlott CC, Langer R, Anderson DG, Wang ET. Barcoded nanoparticles for high throughput in vivo discovery of targeted therapeutics. 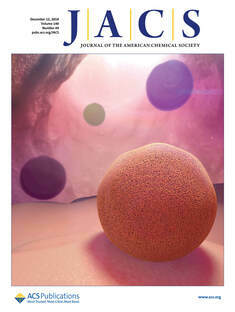 PNAS, 2018. Covered by MIT, Florida, GaTech, and many other news organizations.